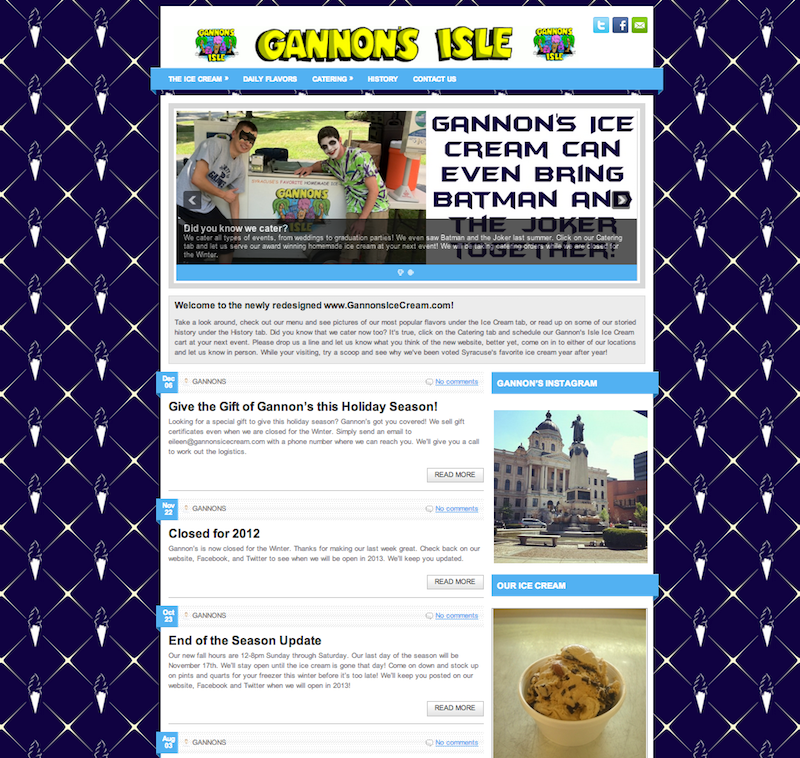 The website for Gannon’s Ice Cream, where I worked as the Marketing Director. The website uses the WordPress framework and is capable of displaying menu’s, pictures and descriptions of flavors, blog posts, and catering inquiry forms. The website also shows a random image from the Gannon’s Instagram account, as well as the latest tweets, and a map to all locations.